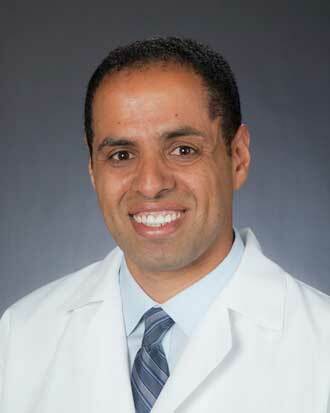 Dr. Alseidi specializes in minimally invasive and open hepatobiliary, pancreatic, and in endocrine surgery. This includes totally laparoscopic pancreaticoduodenectomy (whipple procedure) and minimally invasive parathyroid surgery. He has a special clinical and research interest in locally advanced and unresectable HPB cancers, biliary injury repair, and surgical education. Outside of his surgical practice, Dr. Alseidi enjoys underwater photography, international studies and volunteerism. *Dr. Alseidi coordinated a triple consult with 2 other specialists. 3 appt´s back to back! Everything went like clock work! We were very impressed and will share our experience experience with everyone! I can´t tell you how happy I was with my doctor & I would highly recommend him. I´ve never had an experience quite like this one, from the nurses to Dr. Alseidi... they were all so welcoming & informative. Everyone on the team working with Dr. Alseidi were fabulous as well. I believe that Dr. Alseidi models the diligence used professionalism he expects of his team and they rise to that expectation. Dr. Alseidi is amazing! I feel very confident with him as my surgeon. Dr. Alseidi, follow, resident all took the time to talk to me and my friend, answer all our questions. Used humor to diffuse a difficult situation. Professional helpful & supportive. I am grateful to be under the care of Dr. Alseidi. Dr. Alseidi, his nurse Gordon and intern Dr. Avery were all courteous & informative. Dr. Alseidi couldn´t be better. He is highly skilled and also caring and warm. I am very grateful that he was my surgeon! Felt rushed. Like I wasn´t important. Excellent DR - nurses - everyone was kind and gracious. I was impressed with how thoroughly he reviewed my medical condition, calling my cardiologist, dr.